The Recording Department of the County Clerk's Office records liens against real property (such as contractors or materialman liens), state and federal tax liens. Liens against motor vehicles are filed with the Titles Department as Uniform Commercial Code (UCC) filings. 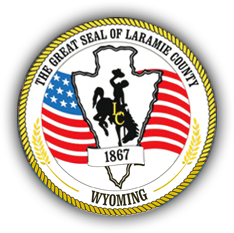 Liens are noted on the face of the Wyoming Certificate of Title to be perfected. All liens are a matter of public record. Lien searches may be requested by fax (307-633-4240) or mail (PO Box 608, Cheyenne, WY 82003).